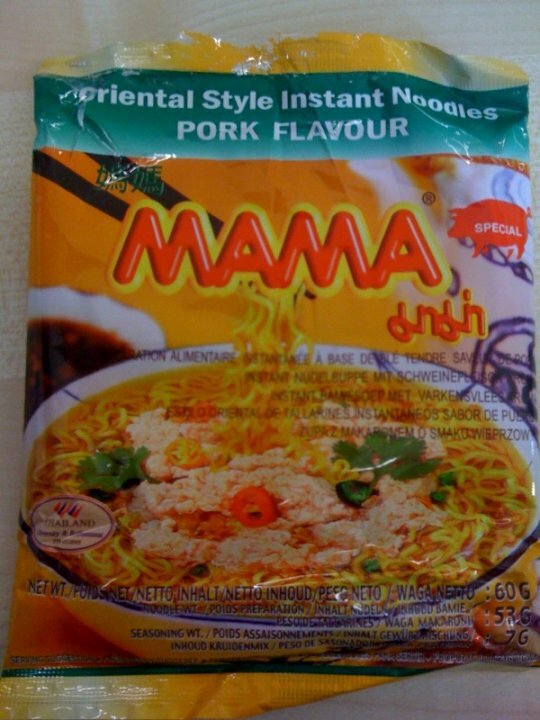 Let this happy package of “Oriental Style Instant noodles – PORK FLAVOUR” turn your otherwise bland Monday into a harrowing near-death experience! The authentic semi-solid packet of “Schweinefleischaroma” is like a crackerjack prize from hell in this flash-dried noodle-like food product. Fit for human consumption? —Let both your decaying taste-buds and your vomit filled sinus cavities be the judge!